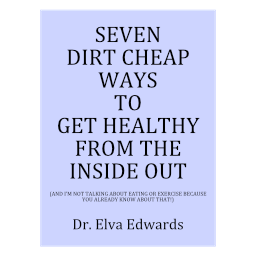 June 2017 – Dr. Elva Edwards, D.C.
After 30 years in practice, I still suggest the same therapies like the detox bath, the onion for an ear ache and a castor oil pack. They work as many of my patients testify. I have even made videos for you to make it as easy as possible to use and understand these therapies. In case you haven’t seen my videos, please watch them and pass them around as they work for everyone! They are also on my website under Resources. The body doesn’t change that much over time. In other words, the same therapy I used 30 years ago when I started practice, works today. Why wouldn’t it? The body gets older, but the genes don’t change. We know from epigenetic research, it is more about the environment we put the body in that allows the expression of certain genes. Our society has gotten used to the latest greatest medications. Wait a few years and you will discover the side effects. Some will be discontinued, just like surgeries. It isn’t often you hear of a child having their tonsils removed today, and yet when I was a child, it was customary. I have to wonder, in 20 years, will they still be using amphetamines to treat ADHD in children? The side effects are not pretty and it says in the insert that the medication shouldn’t be used more than 60 days. Do you know anyone who has stopped using the medication after 60 days? Natural therapies that were good 30 years ago are still good today. Use them first!! I hope you took advantage of the Vaccines Revealed series. It is EXCELLENT!! If you vaccinate, please watch the video series Vaccines Revealed. It is an online video series that starts today! If you sign up with this link, you will be sent a segment each day for about 9 days. Perhaps you need more information to make an informed decision. You can do your own private investigation by going to the CDC offices in Atlanta and wade through their research, or you can watch the video series that starts today called Vaccines Revealed. We need to have a national discussion about vaccines. Recently the first ever study was run where they compared vaccine children to non-vaccine children and (drumroll) the non-vaccine children were healthier. We need to do some serious research. Vaccines have never been proven to be safe, necessary or work and yet look how many people are vaccinated. If we are going to take them, let’s make sure they are safe, effective and necessary for our health. When you think of vaccine, you might think of getting an immune response. But did you know you get aluminum too? Mercury too. I think mercury is the second most toxic chemical in the world. Are you sure you want to put it in your body? And, have you noticed how many people are getting Alzheimer’s? But please, don’t take my word for it. Listen to those who have done the research personally. And, if it is like last time, a man who has an autistic son and is employed as a researcher held my attention for the whole series. Who will be your favorite person interviewed? Please leave a comment as to who is your favorite interviewee. And, remember, GOOD HEALTH IS PRICELESS!! You will never be younger than you are at this moment. There is no time like the present if you want to save some of your stem cells for use in the future. The younger the stem cells are, the more active they will be. As stem cell therapy becomes more popular, you are more likely to want to choose stem cell therapy instead of a knee replacement or shoulder surgery. We as insurers should make our voices heard. If you are part of an insurance group, the insurance company “should” try to cut costs as well as poor outcomes. In Denver, a hip replacement costs about $57,000. A knee replacement costs about $48,000. You can get stem cell therapy for less than $10,000. The insurance companies will say it is an experimental procedure. How long will they need to perform these procedures before they are normal practice and not experimental? Just consider the poor outcomes from surgery. I don’t have to write about it as you have friends and stories that are as good as mine. There is always the possibility of problems from surgery. And the rehab for the joint replacements are not fun. It is hard work. As it stands now, anyone who wants to try the stem cell therapy has to pay out of pocket. How much more is your insurance is because they won’t pay for stem cell? Why don’t insurance companies cover stem cell? You could always have the surgery if the stem cell doesn’t work, but there would be far fewer surgeries and far fewer poor outcomes. I don’t do these procedures so I don’t have a horse in the race as they say. But common sense says surgery carries a lot more problems than stem cell. Here is an article from a Dr. who has done stem cell for 20 years. Enjoy!